It’s the moment of truth in any career change: the job interview. You sweat. You prepare and hope for the best. But it usually feels like a black box. That’s going to change with this article. Based on the excellent research from, “Pedigree: how elite students get elite jobs,” by Lauren A. Rivera, we’re going to break down job interviews. During her PhD research at Harvard University, Rivera “went undercover” to find out how elite firms (high end law firms, consulting firms and financial firms) hire new staff from America’s top universities. Do these insights apply to all hiring situations? I would say yes based on my personal experience and research. Of course, there are some nuances specific to the firms Rivera studied (e.g. the case interview in the management consulting industry). In her excellent book, Rivera reports on how individuals at elite companies actually think and behave in hiring and recruiting. How? Rivera interviewed numerous profiessionals and personally worked in these firms during recruiting season. This book is the most detailed and robust explanation of how job interviews and hiring work in the wild I have ever seen. You will learn how each step works in this article because knowing is half the battle! Sociological accounts of hiring often portray hiring decisions – including interview evaluations – as being conducted by professionalized HR staff who have in-depth knowledge of interviewing techniques…However, in the firms that I studied, interviews were conducted almost exclusively by full-time revenue generating professionals who balanced recruitment responsibilities with full-time client responsibilities. Interviewing was a secondary responsibility for them… Because firms gave evaluators little guidance regarding what merit is and how they should measure it, identifying talent was largely up to each interviewer’s judgement. That means that if you and friend both interview at the same company, you can expect quite different results. How so? Rivera founds that some interviewers rated candidates highly on “fit” if they happen to share the same hobbies (e.g. SCUBA diving or Varsity athletics). The interviewers I spoke with often began by asking job candidates which they liked to do in their spare time. Yet this conversation was not “cheap talk”, tangential to the the evaluation process. It was the primary basis on which interviewers judged the key criterion of cultural fit… Firms, in essence, sought surface-level demographic diversity in applicant pools but deep-level cultural homogeneity in new hires. Surprisingly, certain hobbies and interests were considered more “worthy” than others in this process. Having time and resources to indulge in fun is not always possible. Rivera points out: “Concerted cultivation of leisure is a hallmark of the more economically privileged social ranks.” The types of activities that evaluators participated in and valued were also those most commonly associated with white, upper-middle class culture.” If you leisure activities are expensive (e.g. golf), that is more likely to earn your bonus points. However, good leisure activities are not the only factor; your personal story matters as well. A strong narrative had two distinct but interrelated components: the applicant’s past experiences and his or her future trajectory. Interviewers used stories of the past to assess a candidate’s level of “drive,” an evaluative criterion that combined ambition and a strong work ethic. They used stories of the future to assess a candidates level of “interest” in a career with their firms. Simply thinking about your relevant past experiences and plans for the future is a starting point but not enough. However, Rivera reports that HOW that narrative is delivered makes a big difference. Not all candidates’ stories were equally successful in eliciting high marks on drive from evaluators. This is not surprising but it is problematic. It means that artful storytelling about one’s experiences is awarded greater weight than one’s actual experiences (enumerated on resumes) in job interviews. What are the key elements of a successful story in a job interview? a portrait of experiences similar to the interviewer OR a dramatic/unique story line. Rivera goes on to point out that many job applicants struggle to excel with these expectations. For example, what if your choices reflected surprise opportunities, unexpected tragedies or other limitations? Based on my reading, it looks like candidates are likely to be rejected if their narrative contains anything other than a series of heroic triumphs. In some job interviews, you will be tested on technical skills. Years ago, I remember completing a series of tests (including written essays!) for a position in Canada’s civil service. I passed all the tests but did not succeed in the French language test. That level of evaluation in technical skills appears rare for the firms that Rivera studied. There are two reasons for this lack of concern about technical skills. First, recruiters assume that elite colleges and universities, by virtue of their challenging admissions processes, have already selected highly intelligent students. Second, elite professional services firms are noted for their extensive training programs (i.e. you are not expected to be economically productive right away) so new hires are not expected to have job skills. Although case interviews incorporate the most systematic tests of job-relevant skills across the industries that I studied, their purpose was not to screen for previously acquired job-specific knowledge but rather to identify candidates who displayed a generalized knack for problem solving. The discussion goes on to provide commentary on how interviewers perceived case interview answers. An effective answer has an explicit structure (e.g. 3-5 bullet points summarizing the main issues was considered ideal). One unexpected surprise? Candidates were sometimes rated favorably in this section based on structure and logic, even if there were errors in the detail of the analysis. In contrast, less organized answers – even with perfect math – often led to lower ratings. Like other acts of the interview, the Q&A was a ritualized interaction and good performance within it followed a particular script. 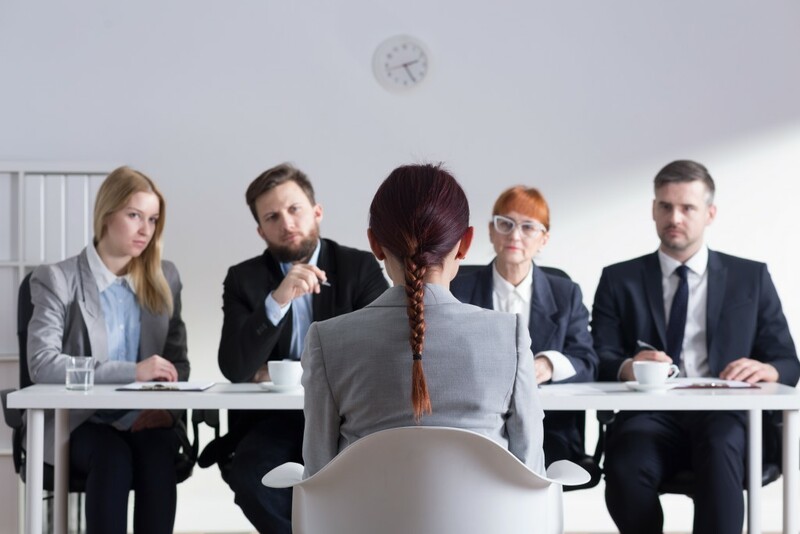 First, the interviewee has to ask the interviewer something… Interviewers interpreted having questions about the firm or the job as evidence of genuine interests in the firm and an absence of queries as a sign that the candidate didn’t really want the job. A wrong question, though, probed the time commitments entailed by these jobs. For example, asking too many questions about travel demands or working hours made interviewers question applicants’ commitment to the job or the firm and their underlying personal character… Several female evaluators, mostly lawyers, reported having particularly negative reactions to applicants – primarily other women – who asked about work-life balance or family leave policies during the interview. There’s nothing wrong with being curious about hours, travel and related points. These questions to be discovered through networking rather than a job interview. Ultimately, the Q&A portion is helpful but it does not overcome other parts of the interview. The one exception? Asking “bad” questions (e.g. about hours, benefits, pay) during a job interview tends to produce a negative reaction. What have you learned to improve your job interview skills over time? I’ve learned to be prepared. I spend time researching the company. Not just reading information from their website on the internet but also reading their news feed on sites like LinkedIn. Here is where you find the most recent information about what’s going on in the company you’re interviewing with. Also, learned to have a set of questions ready to ask the interviewer about the job. I created a set of general questions that would work with any interviewer in addition to those specific to the company/job. Lastly, I have a “database” of questions that I’ve collected over time. Some come from each interview I’ve had, some come from networking, and some come from reading information from the internet. I’ve taken the time to think about and document the answers to each; especially those “situational” ones where the interviewer asks “name a time when…”. This enables me to be better prepared and not have to waste time trying to come up with an answer. Adrienne, thanks for your comments. Can you share some examples of your “database of questions” to ask in interviews? My favorite question to ask during an interview, “Where do you see both yourself and the company’s growth and in 3years?” What I find to be interesting, the interviewer tends to stumble over words when answering this type of question.